Samsung Focus appears to be putting on a disappearing act at various stores? If the speculations about new Windows Phone 7 devices being unveiled tomorrow at Microsoft’s event pan out to becoming true, then it makes perfect sense why we’re beginning to hear about the exodus of one particular WP7 handset right now. There’s no denying that the Samsung Focus can be argued as the best-selling Windows Phone 7 handset on our side of the pond in the US, but now it appears as though it’s starting to perform a disappearing act at various stores. 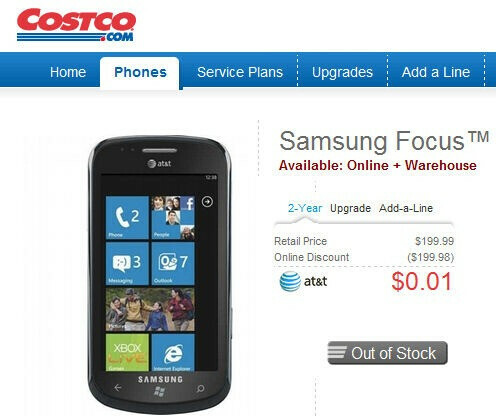 Specifically, both Costco and Target appear to no longer carry or have any available Samsung Focus units for sale – both in stores and online through their respective web sites. Although there is no exact reasoning behind this, it does make you wonder if it has anything to do with Microsoft’s upcoming special event tomorrow. Nonetheless, we’re less than 24 hours away from all the Windows Phone 7 news that’s expected to come around tomorrow. In the meantime, if you still want to grab hold of the Samsung Focus, you’d better start looking now before it’s gone. Then again, we’d imagine some great pricing befalling the handset right now – making it an easy purchase for anyone. It was a GREAT phone... If I had AT&T I would not hesitate one bit. Very smooth and very beautiful screen... The kind only Sammy can make. Makes the WP7 interface look sharp! And boy that thing can fly! while it lasts you can get one at Target Mobile for $20. HTC seems to be carrying the baton for Widows phones until it gets handed off to Kokia. 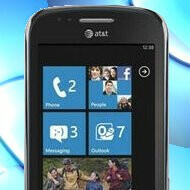 That does seem strange, as the Focus was easily the most respected of the W7 devices. That screen is a huge selling point. I kinda do not like Samsung these days due to the plastic, lightweight feel of them, but that is strickly my thing. Everyone I know who owns Samsung products enjoy them. Microsoft should be hitting up Sammy hard to follow up the Focus with another offering across all carriers to capitalize on that success. In the end, they may end up not needing Nokia.